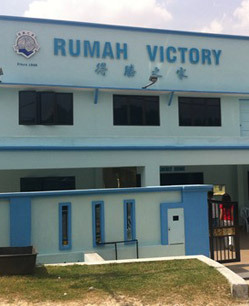 RUMAH VICTORY depends on the financial contributions, donations and gifts from the general public, Churches and personal basis. The organisation needs to embark on regular fund raising projects to fund our various centers. To supplement the income of the rehab centre, part-time small-scale contract work is done whenever such assignment is being offered to the centre.